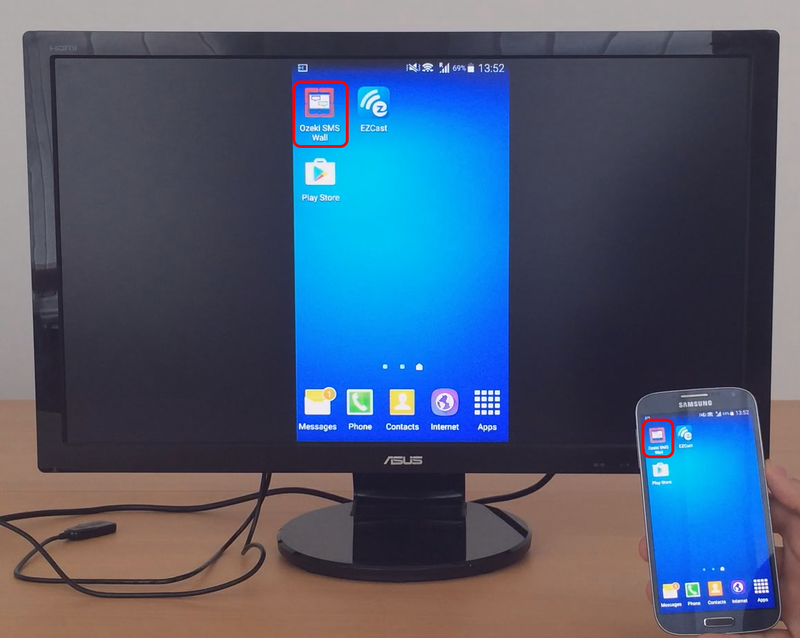 You are capable to control an LCD screen or a projector directly from an Android smartphone. 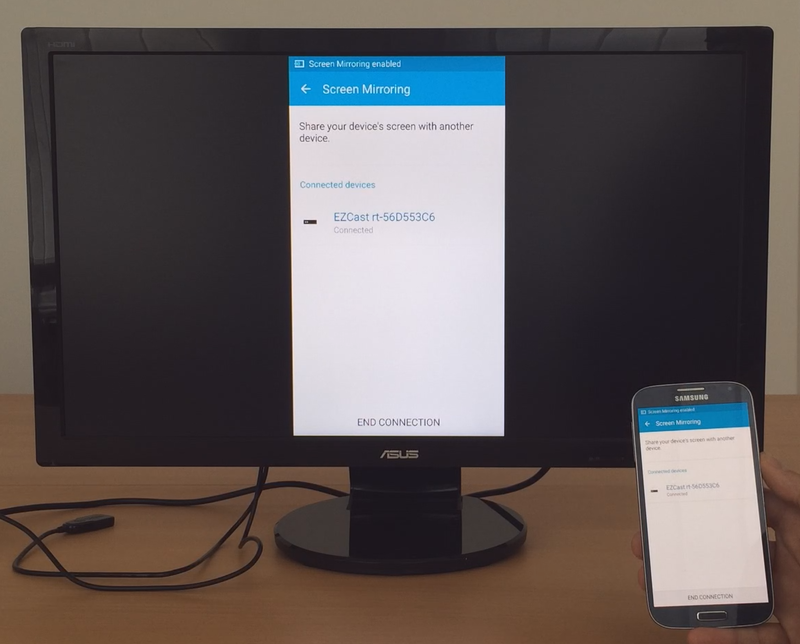 The perfect tool for this is the Android version of the Ozeki SMS Wall and a screen mirroring device. In this tutorial we used EzCast i5+. 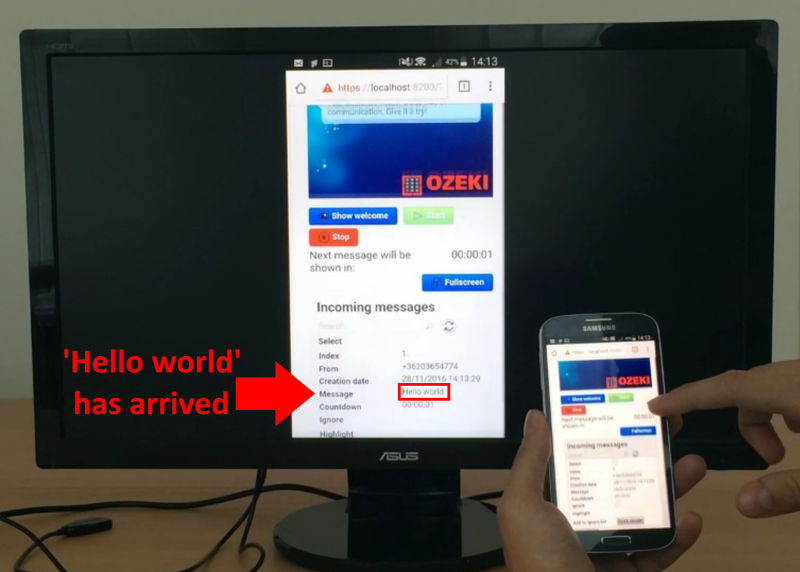 Please proceed to the downloading site and download Ozeki SMS Wall (Figure 2). Download Ozeki SMS Wall Android Trial! After the download is completed please click on the downloaded file to start the installation. 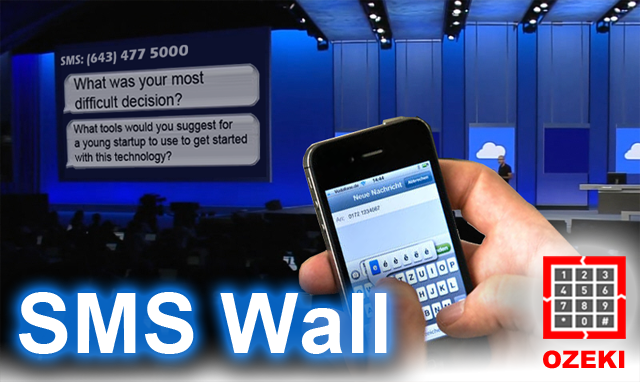 You will see the details of Ozeki SMS Wall application. At the bottom of the screen please click 'INSTALL' (Figure 3). 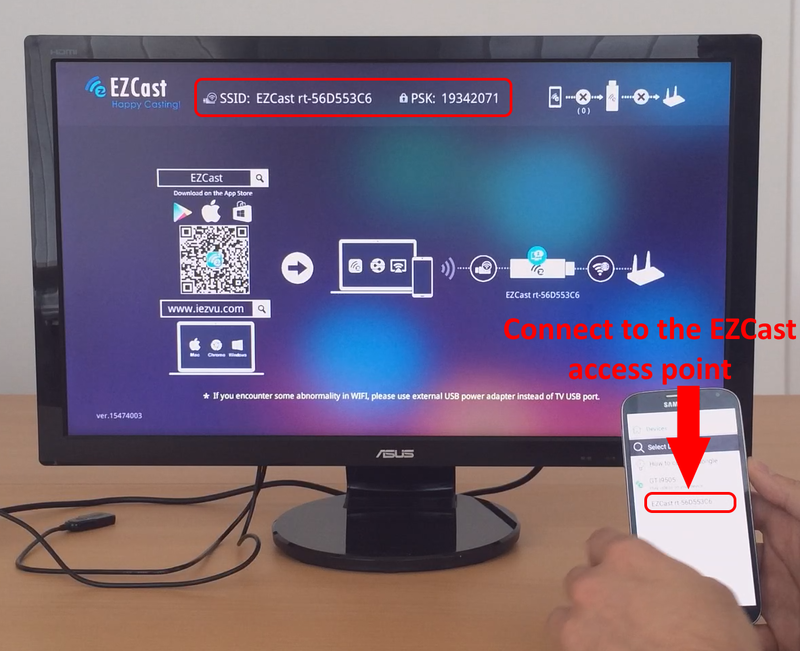 An EZCast Android application is needed to prepare this step. Please download the EZCast smartphone application from this site. 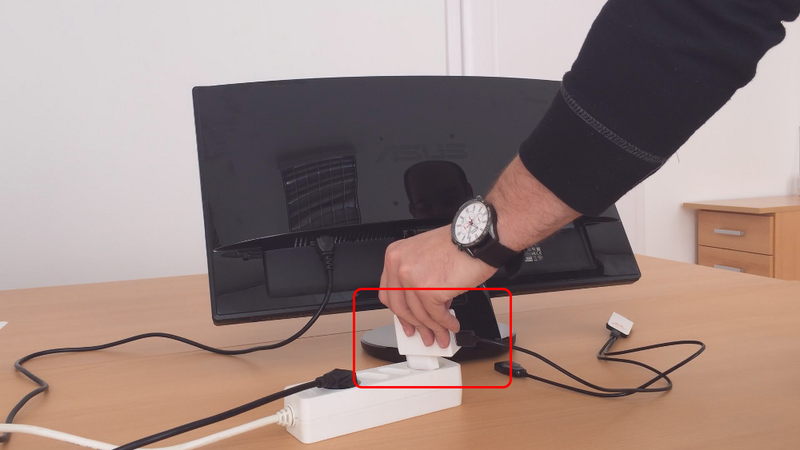 First you need to connect the EZCast device to the power outlet (Figure 4). 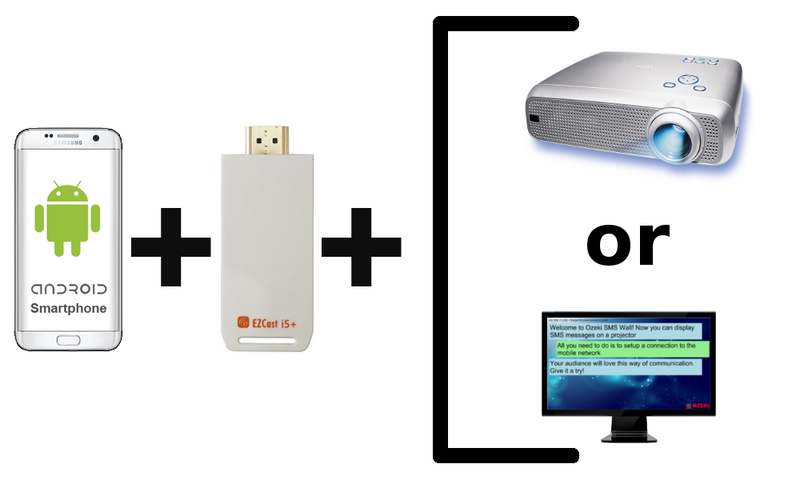 Then plug the EZCast device into the HDMI slot of the LCD screen (Figure 5) or the projector. 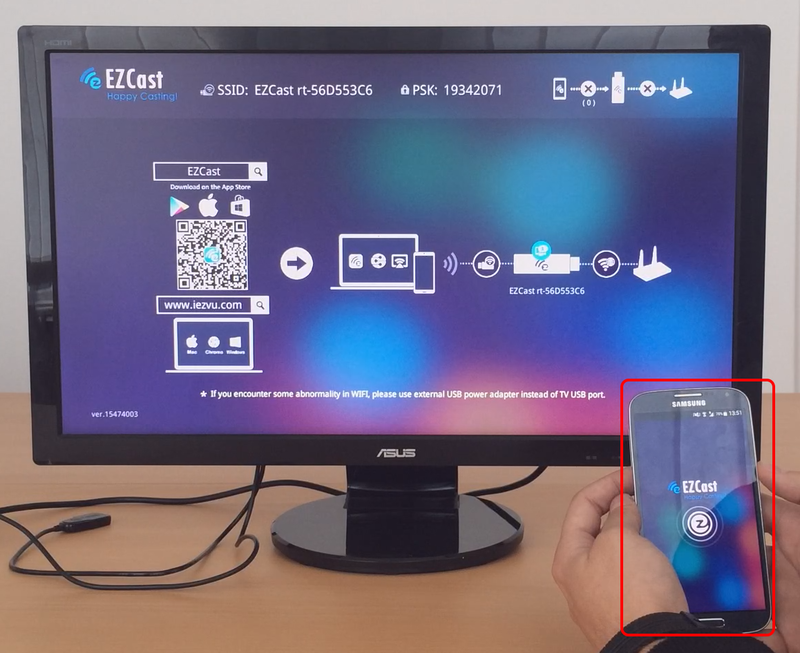 Start the EZCast application (Figure 6) to mirror your smartphone screen. EZCast will open an access point. On Figure 7 you can see the access point connection details. 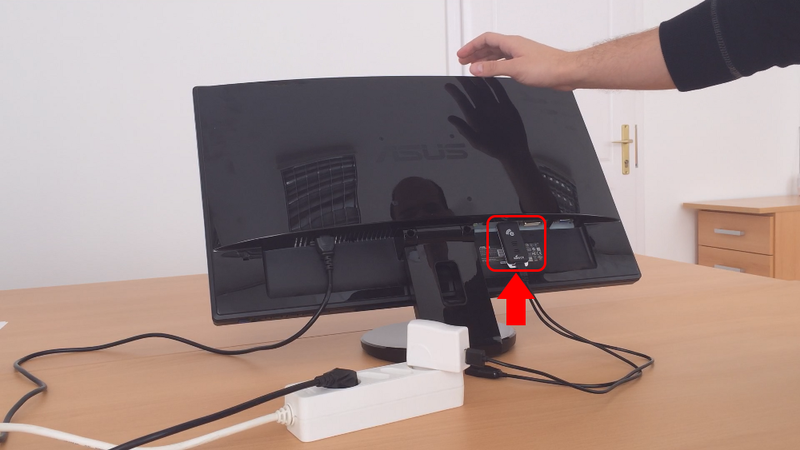 Please connect to this access point from your Android smartphone (Figure 7). 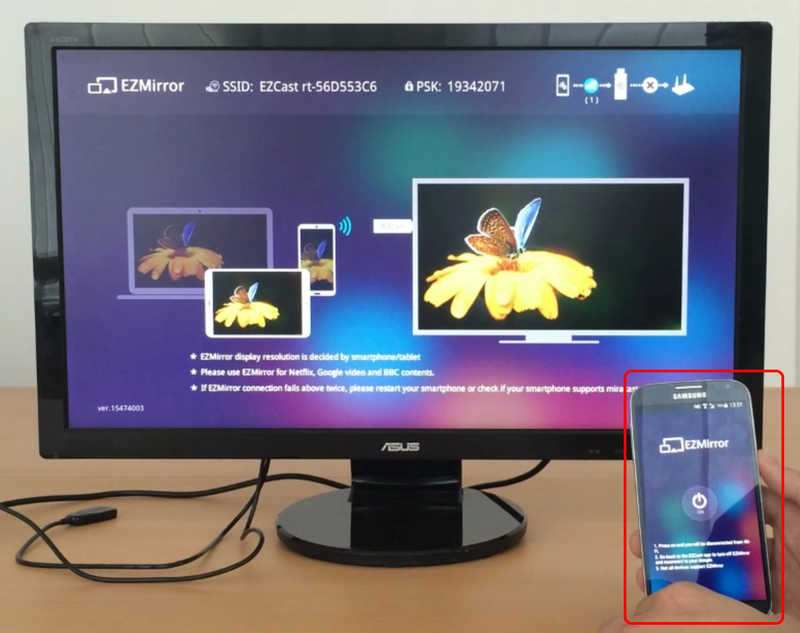 Now you just need to mirror your smartphone display with EZCast (Figure 8). You should see the mirrored screen on a projector or LCD display (Figure 9). 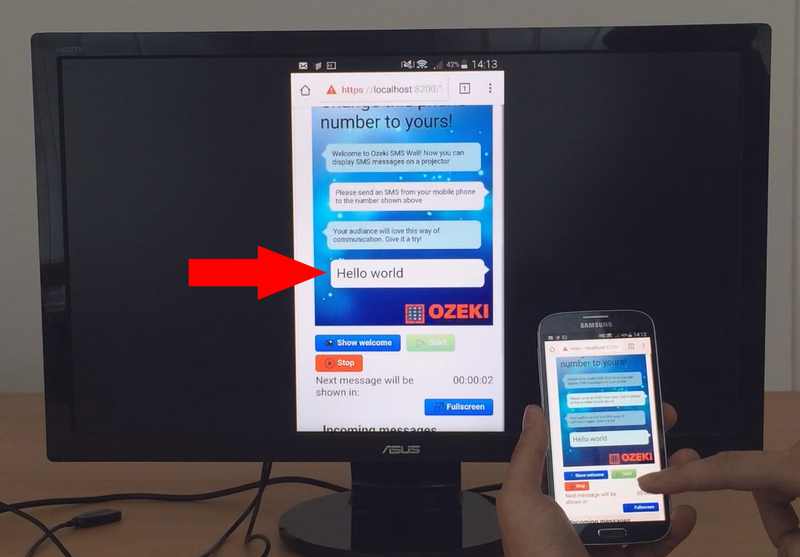 Since Ozeki SMS Wall is already installed on your smartphone, you can start it with a simple click (Figure 10). 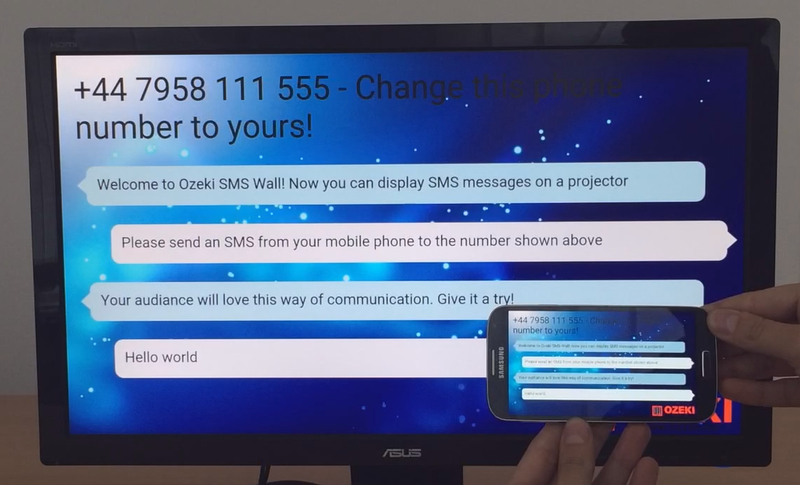 Ozeki SMS Wall automatically displays every incoming SMS on the screen, so you can try it out by sending an SMS (Figure 11) to the smartphone running the SMS Wall. See the arrived message in the 'Incoming messages' section (Figure 12). It will be displayed on the Wall after the time delay has passed (Figure 13). To provide a better experience for your audience, you should set the Wall to 'fullscreen' mode (Figure 14). You can do this by clicking on the 'Fullscreen' button.